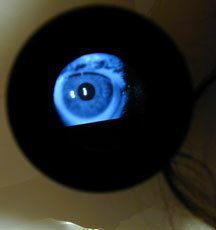 There is a natural division in the surveillance issue between involuntary and voluntary data acquisition. Voluntary data acquisition refers to processes where the subject actively engages with the marketing / surveillance / security apparatus, like showing a passport or i.d. or responding to requests for information, ranging from completing a tax return to answering a consumer survey or poll. Often these processes reinforce our identity as a responsible or valued citizen. Involuntary examples range from the passive recording of people’s presence using simple video surveillance through to forced extraction of biometric data by saliva or tissue sampling. These processes are seen as focused on criminals although everyone is subjected to the passive form. 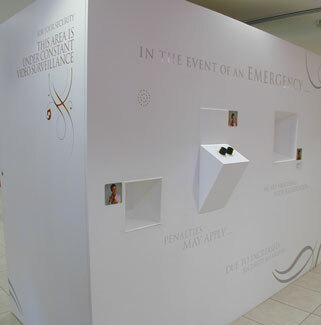 Trace is a mixed media installation exploring these biometric themes, a subject that becomes increasingly significant as the ‘global war on terror’ escalates and government security organisations are collecting physical data from citizens for identification purposes. 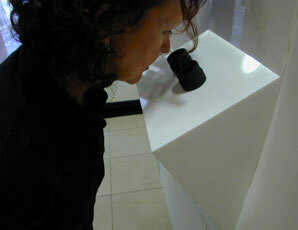 In the first part of the installation the viewer engages with the biometric station, encouraged by friendly instructions to voluntarily register using palm scans, iris scans and voice analysis. Further into the exhibtion an involuntary image capture occurs. Viewers can access these images from a database of previous exhibtion visitors where the biometric data is blended with the captured images. 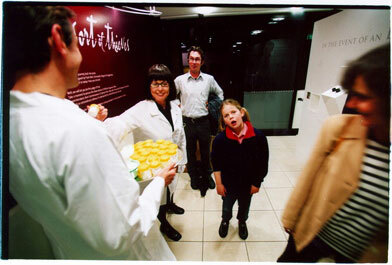 This installation ran for three months over 2002/2003 at the Sydney Records Centre in the Rocks, Sydney. At the opening of the exhibition visitors were asked to contribute a body odor when entering the space. 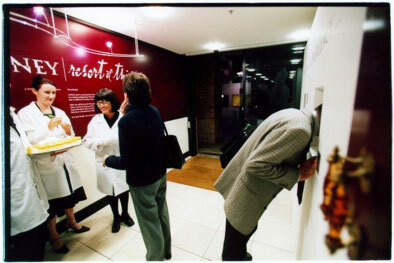 The artists performed as medical archivists, offering a sterile swab to each visitor, politely asking for the person to rub the swab on part of their body to collect a smell. The swab is then placed in a marked specimen jar to become part of a smell archive.